Trust Whitcomb Brothers to keep you running when it matters most. Our service crews will be on your site within 24 hours to get you back up and running. Check out our maintenance programs to prevent breakdowns this harvest season. 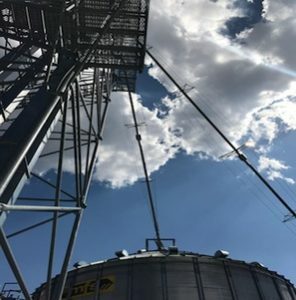 Selling, installing and servicing grain handling equipment while providing the best service and highest quality equipment to our customers in Minnesota since 1997. Whitcomb Brothers has an impeccable reputation where service after the sale matters! We have dependable & up to date equipment with a full line of service parts. Our crews do whole site construction from the ground up, along with site design to fit your needs -from co-ops to small farms.